From the depths of despair after the Southampton loss, to the highs of a Monday night win at Crystal Palace. Football is a funny old game. With the three points at Selhurst Park comes a fresh wave of renewed optimism that the Black Cats can survive this season. It was far from pretty but it was effective. And that is what Allardyce was brought in to do. With him at the helm, Sunderland have every chance of survival. Sunderland lined up in a 3-5-2 formation, not seen since the 6-2 hammering at Everton. But what was pleasing for the sold-out away end to witness, was that Sunderland seem to have learned from their mistakes. At Goodison, Sunderland were gung-ho. At Palace they were more measured. They didn’t just sit back and let Palace dictate play, but they did hit them on the counter-attack after soaking up an awful lot of second-half pressure. Before the game Palace boss Alan Pardew praised Allardyce, admitting he finds it hard to play against his sides. Was it mind games? If so, there was only one winner. And it was Big Sam. When the team sheets arrived it seemed Sunderland would be lining up in a 3-5-2 formation. But Allardyce threw in a red herring during his pre-match media commitments, revealing it was to be a 4-4-2 with John O’Shea at left-back. It was all mind games. Come kick-off, Sunderland were 3-5-2. Allardyce had got one over Pardew. Victory over Palace was a landmark for Allardyce, his 150th win in the top flight. And he got his tactics spot on in the televised win. With his shot spell in charge disrupted by two international breaks, it is perhaps understandable that Allardyce doesn’t yet know his best team. Or formation. Or at least didn’t, until Monday night. Five changes were made and the players that came in all made an important contribution. The side looked balanced, defended in numbers and broke with purpose late in the second half. Allardyce had spoken recently of the fitness levels of the Sunderland squad not being at the required level. Well, on the evidence of the Palace display, it looks like the coaching staff have spent the past two weeks working the players hard. Sunderland looked fitter than they have done all season, match-winner Jermain Defoe alluded to it post-match. And it paid dividends with the winner coming in the 80th minute. 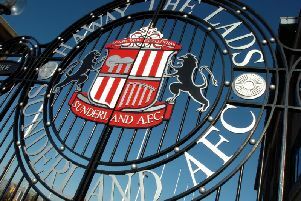 Sunderland lack the quality of other Premier League sides in some areas, so they need to continue to make sure they work harder than the opposition. It was an important night for Defoe and Steven Fletcher as a heavy defeat against Palace would probably have ensured they didn’t play together again. But Sunderland got it right at both ends of the pitch. For once. It was their most rounded performance of the season. 3-5-2 can work if the right players are available. Against Everton Allardyce pitched Wes Brown and Billy Jones alongside Sebastian Coates. They were torn to pieces. John O’Shea, Coates and Younes Kaboul formed a much more resilient back line. If those three are fit, the system can clearly work. 6) Duncan Watmore best used as a super-sub? The 21-year-old has been the subject of a lot of column inches in recent weeks. Watmore made his full debut against Southampton, inspired England Under-21s to victory in a stunning cameo and has signed a new four-year deal. He came off the bench at Palace, alongside Jeremain Lens, and helped Sunderland to only their second win of the season. Watmore struggled when starting against the Saints though and perhaps Monday night showed, for now, he is best served coming on as an impact sub? When sides are tiring, unleash Watmore on their defence. He is raw, but direct. And he scares defenders with his pace and clever runs.